App Translation Services | Language Solutions, Inc.
We can help you with translating your mobile app and increasing engagement from your foreign language speaking audience. Unlike many born global companies, most traditional industries typically are reactive and wait on app translation. App translation seems like a daunting job, but consider that in developing the app, you have already invested the time and trouble to get the infrastructure in place. Now it is just a matter of following the right process in order to get the app localized into another language. We work directly into your source files and will advise you on recommended and best practices for mobile app localization. 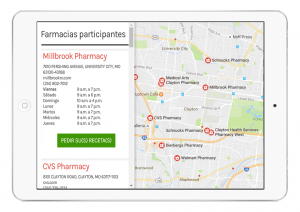 In Healthcare Translations, we not only see a lot of app development among traditional Managed Care Organizations, but also with emerging services like Pharmacy Benefit programs. We have been engaged with organizations on translating their email and text message services to help their patients get reminded about medication refill reminders and services that help with wellness and treatment adherence. Digital health applications tend to use a lot of variable data that needs to be assessed and made relevant in other languages where gender and grammar complicate matters. Wellness apps are trending in Corporate communications because it gives the company and their employees health benefit incentives. Many programs that offer wellness benefits do not have their apps localized. If the level of wellness engagement between different groups of employees is a problem, you may want to consider app translation as an engagement incentive and strategy. Not only can we successfully help you with the localization process, but we can also capture the terminology used in our terminology database for future use or reuse in brochures or enrollment programs. This ensures it’s one consistent experience. Let us help you with the recommended processes for Apple and Android app developers, while using our translation services for the highest quality output. We make it easy for our clients by talking directly with your App Developer and help them every step of the way. Not only do we advise on the localization aspects of the app, but we will also look for issues such as context, use of localized data and variable text and how this may impact the translation process. After the translation has been completed, we help with the post-implementation process to ensure everything displays correctly and is ready to launch.